We are dependable manufacturers and suppliers of the finest quality of Food Grade Bellow. Our offered Food grade bellows are exclusively acclaimed in the market as it is designed by our competent professionals by consuming standard quality basic material at our well-organized production unit. These Food grade bellows are demanded for its durability and qualitative exact features all over the world. Moreover, patrons can take the whole range from us at nominal rates. One of the finest manufacturers and suppliers of this impeccable range of Rubber Products, Western Rubbers India Private Limited, incepted its operations in the year 2004. 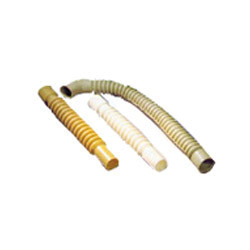 The range consisting of Moulded Rubber Products, Extruded Rubber Products and Medical Surgical Moulded Rubber Products, is known to be amongst the finest and the most asked for. Its manufacturing is done using the finest quality of rubber and modern machines, as per the set industry norms and guidelines. Owing to this, its strength, durability, finishing and resistance to heat and moisture, is highly commendable in nature. In addition to this, the range offered is marked at the most reasonable rate possible, making it highly acclaimed and asked for. At Western Rubbers India Private Limited, we have a highly advanced state-of-the-art infrastructural facility, laced with all the necessary machines and equipment. This facilitates the attainment of a number of the firm’s predefined goals and objectives. Up-gradation of the facility done regularly, help us in the boosting of our reach in the market. To manage the operations of the firm in the smoothest and the finest possible manner, the facility has been divided into a number of highly operational units. This helps us in the maximizing of our productivity.